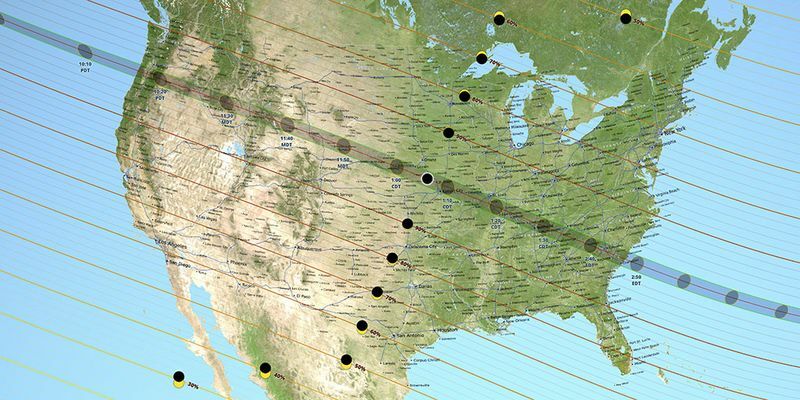 If you haven't been under a rock recently, you know that a full solar eclipse will occur in the United States from Oregon to South Carolina on Aug. 21. For the wow and cool factors, this is great. However, from the solar power factor we now have a downside. Bloomberg has calculated that the U.S. will lose about 9 GWatts of power during that time. While this effect also comes from a storm moving over the same area, it is interesting that power companies now have to compensate for solar eclipses. Hopefully battery technology will continue to improve so that the vagaries of the wind blowing and the sun shining can be smoothed out. Must be an interesting time in the power generation business.